DALLAS-FORT WORTH AREA –​​ Want to see housing statistics in your area? Look no further. The first quarter 2017 home sales have been released by NTREIS and the Dallas Morning News. 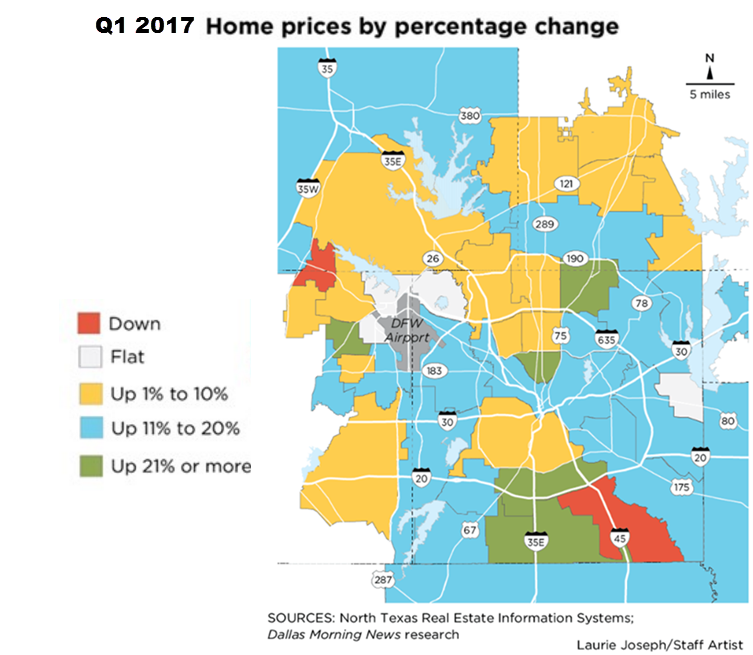 An interactive map by North Texas Real Estate Systems (NTREIS) can be found here​ on the Dallas Morning News. Find out average price, sales price change, and average days on the market for your area in Q1 2017. ​​Want more data? See DFW Housing Market Research.